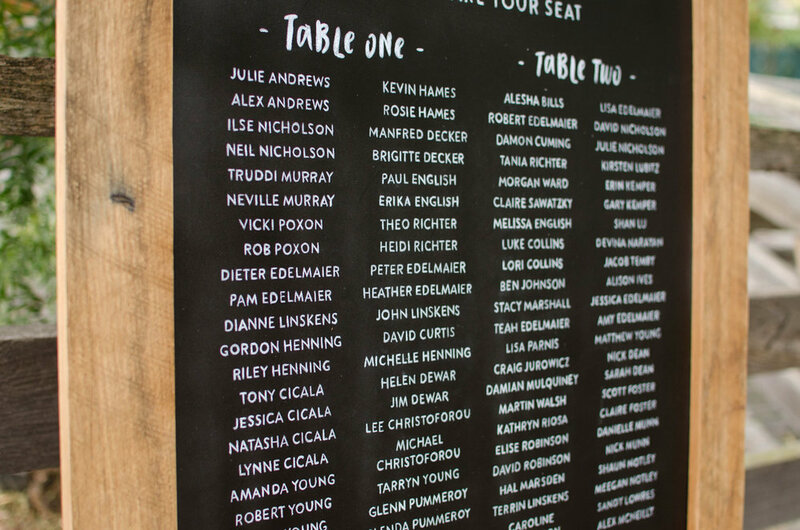 Amy and Matt were the winners of the chalkboard competition we ran at Confetti Fair's Twilight Event back in June and chose to put their $250 prize toward this epic, A1-sized, custom seating chart chalkboard for their Yarra Valley wedding. For the design, I recreated the leaf graphic that adorned their existing wedding stationery so that everything was coordinated, then painstakingly outlined and coloured in all 95 guests names. It took more time and patience than I knew I had, but the result was worth it, I think it is one of my favourites to date. 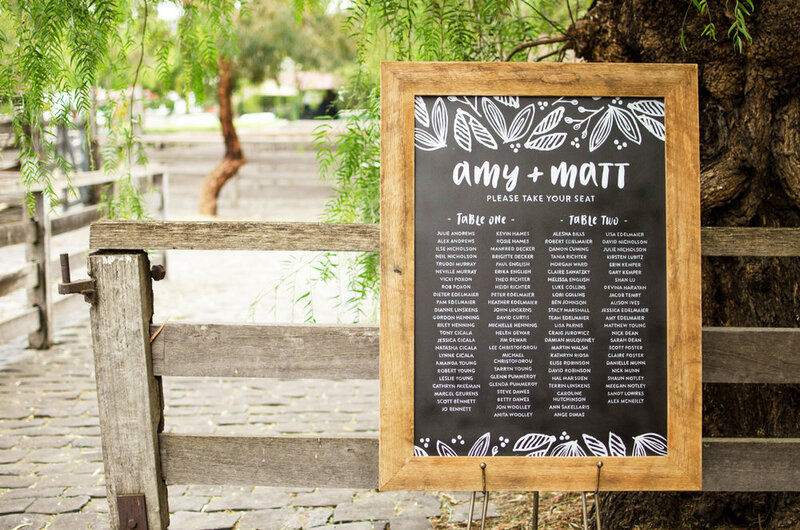 The finished chalkboard was framed in one of our signature recycled timber frames for a rustic touch, and I am sure it looked right at home with a vineyard backdrop on the day.